There's an old tale of questionable provenance about a Walmart store manager somewhere in the US noticing that sales of nappies increased dramatically on Saturday mornings. Looking at the foot traffic at those times, he noticed that most of it was male, so he theorised it was men buying them. To test his theory, one week he placed a beer special near the nappy aisle. Unsurprisingly, beer sales also went up on that Saturday. And so, legend has it, the idea of business intelligence (BI) was born. Whether or not the above tale has any truth to it, the reality is that in today's business world everybody understands what BI can deliver to an organisation, in theory. In practice, however, it's a whole lot more complex. Lise Hagen, research manager at IDC, opens discussions by asking the assembled BI specialists how they demonstrate the business impact and business value, particularly to mid-market customers not already invested in the technology. Armand`e Kruger, regional sales director for PBT Group, is first to blink. "There's always this question about return on investment (ROI), and I think it's the wrong question because we always... say it's really difficult to measure and then we come up with these fancy ideas on how we can measure it. What we should be asking is whether or not we're meeting our objectives." Dave Ives, director at Karabina, sees it differently, particularly in what he calls the mid-market - R3 billion in turnover and below. "Talking to those MDs, they know exactly what their challenges are: it's price optimisation, stock, or working capital issues," he says. Recently, he adds, working capital has become a massive issue and there are only two ways to address it: through the debtors' book and with stock ageing. Karabina decided to write standard modules for debtors ageing and stock ageing and make them available for rapid deployment. The results, according to Ives, are spectacular: "In one of our project cases, the project paid itself off within five weeks," he asserts. Ravi Bhat, group COO at Logikal Consulting, believes showing ROI is contextual. "We play a lot in the public sector, where compliance, risk and governance are very important. It's not... just about numbers, it's about protecting our money, taxpayers' money," he says. There's an elephant in the room called Hadoop. He recalls a recent conversation with an unnamed senior government worker in which he was told that what they want is agility in the solution rather than in the technology. "We don't have the level of skills in our department to deploy a highly technical solution. Give us something visually great, which queries data sources we have and that's relevant to us, and make sure we can make decisions based on that information," the worker said. Riaaz Jeena, sales director of Software AG, says customers are now asking for their problems to be fixed in an agile way. They want to know what's happening right now in the business and what effect decisions will have on the future of the business, he adds. Lorraine Venter, sales director of Synergy, agrees. "We forget that what [customers] want to understand is what's happening now, what's going to happen in the future. It's not difficult to do but it becomes a partnership to enable it to actually work," she elaborates. At the outset of the conversation, a point was made in passing about a possible saturation of the large corporate market with BI tools. Twanette Jurd, technical director for InfoBuild, returns to that point, suggesting it's far from the truth. 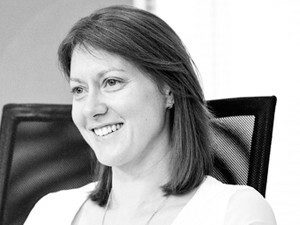 She asks: "Why are we still seeing RFPs for BI technology from larger companies?" She theorises what may have happened: "A lot of the older technologies have been implemented, but the licensing models just make them remain expensive. So the ROI has to be shown every single year," says Jurd. 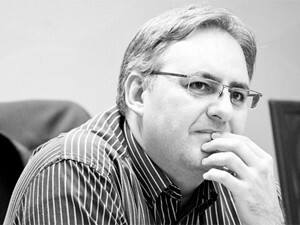 Gustav Piater, sales and marketing director, Yellowfin SA. She adds that ERP vendors typically provide a few 'free' licences for their own BI tools to their customers. However, Jurd maintains that few of the customers actually use those licences to their fullest extent. "The other thing we're seeing is business impact not being internal, but being how you touch externally. BI needs to be real-time because you need to provide information to customers or provide information to vendors," she adds. Her allusion to delivery on mobile devices prompts Hagen to re-enter the fray: "What we're seeing is what IDC calls the third platform: cloud, mobility, big data... everything together. And just talking about BI in isolation is actually quite an abnormal thing to do because its touches on everything else," she says. Nick Bell, CEO for Decision Inc., also weighs in on the saturation issue. In terms of what was the market for enterprise reporting is reasonably saturated, but the move into advanced analytics is the new opportunity, he says. At the same time, Bell believes the two markets - large corporate and mid-market - are at different levels of maturity. "Your larger corporate has understood reporting for a while and they've had it. Your smaller business hasn't necessarily understood that they need information, so it's a new journey for them." Gary Allemann, MD of Master Data Management, agrees generally that the corporate market is saturated, but not for new technologies. "There's an elephant in the room called Hadoop," he says. "It's something that's starting to emerge as a platform in this country. There are very few people doing it, but everybody's about to start doing it," he says. According to Allemann, what's happened to make the platform viable is the emergence of less technically complex self-service technologies. Hadoop allows managers to ask questions of data that previously they wouldn't have access to or it was too expensive to get or store and too complicated to figure out, he says. "Because they had traditional data warehouses, they would have stored a small subset of their data that answered very specific questions, but to try to add to that was difficult. Hadoop lets them do things a lot more flexibly, but it doesn't replace your traditional data warehouse. It doesn't replace your real-time. They are all complementary fits because they solve different business problems," notes Allemann. We, as an industry, have made BI so complicated and such a long road that many don't even bother starting. Gustav Piater, sales and marketing director for Yellowfin SA, confirms the trend, referring to what he calls dash-boarding that ERP vendors are adding to their applications. "And it's not just the C-level managers; it's guys on the ground who are using information to improve their ability to make decisions and report on those decisions," he says. Referring back to something Allemann said, Bhat insists the market appetite for big-ticket BI implementations has waned in recent times. Mid-size organisations, he says, don't want to go the traditional, expensive BI route. "They're actually looking at visual interfaces. They're not interested in building large IT organisations on the back-end. They want something they can use on any device and go and do business in the market and capture customers and not worry about all of that," he comments. Ives agrees but insists that BI is all about data - three types of data. "You've got three Ps of data: proprietary data that you own, which is not clean; you typically want to blend that with public data and purchased data," he says. Venter agrees, saying to derive business value from it, organisations need to begin pairing traditional internal data with external data sets. "We, as an industry, have made BI so complicated and such a long road that many don't even bother starting," she says. Allemann adds that interest in BI is increasing because there's now an opportunity to do the analytics on data that, historically, organisations couldn't really use. "Now, by combining all these different sources, with new platforms and technologies, it's opening opportunities and, more importantly, it has raised the profile of data to business," he says. Hagen brings up the issue of education and asks: "With all the solutions available today, how does one educate users to use them properly and allow the business to derive the commensurate value? And how do you educate your market about all of these options?" First to respond, Bell notes that technology is typically the lead-in, but that the education issue is key to vendors being able to deliver on the promise of BI. "You have to get that right because you could go and build a phenomenally intelligent system that doesn't get used," he adds. It's also about taking the right technology to the client at the right time, based on the client's maturity, says Bell. "It may be a five-year journey, but their maturity levels need to be at the right place, otherwise you're going to spend a lot of money, time and effort and get a poor ROI because the user's not quite there," he elaborates. 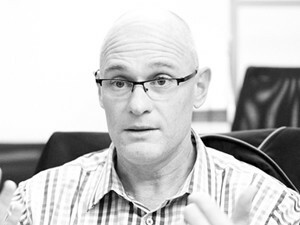 Venter believes the entire sales process needs to be slowed down to better understand the customer's business problem. She's also critical of the misuse of the term big data. "We've always had big data. Telcos, banks, they've always had large amounts of data. 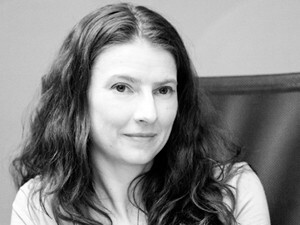 Now there's other data - different data - and the challenge organisations have is what they do with it," she says. Many clients understand our technology... they ask for a specific piece of technology because they know what they're going to do with it. Moving the conversation away from big data, Jurd says BI has almost become a commodity and the only way to approach it is to find a problem to solve. But, in doing so, she says the worst thing is to expect the customer to know what problem they need to solve. "So, from a business value point of view, it's being cautious in what we tell them. Data is complex, generally, and we shouldn't set expectations beyond what we can deliver. We should rather try to help them find a business problem to solve," she comments. Kruger returns to the education issue. "We're educating the wrong people. We need to educate ourselves first because somehow we're pushing it onto the clients," he says. "Excel is still the biggest BI tool out there. That has to tell us something and it's not telling us because we're driving these massive initiatives with new technology and we're on the wrong track." Jeena agrees it's imperative to help clients find the problems they need to solve, but he suspects the industry underestimates those clients considerably. "Many clients understand our technology... they ask for a specific piece of technology because they know what they're going to do with it," he says. Ives adds: "We also need to listen more. These people have been running businesses very well in SA, under very difficult circumstances. For us to go in and think that we're the gurus is arrogant," he says. Returning to the issue of big data, Allemann reiterates Hagen's earlier allusion that big data is not about size. "It's about using new technology to ask questions - get answers quickly irrespective of the kind of data. It's about time to information," he notes. Lorraine Venter, sales director, Synergy. "If you're trying to implement big data because somebody in IT thought it was a good idea to do, then you're wasting your time and money. What is your specific use case? Let us help you get there in a month and when you've got it, then you can make a decision as to whether you want to then take the next platform forward," he suggests. Piater adds that what hasn't been mentioned is that implementing BI on data and bringing in different sources illuminates the problems within the organisation that relate to data, he says. "That highlights the understated value of BI." Hagen closes the discussion with an insightful observation: "Techie speaks to techie on a technology level, but it's the business guys that are actually using it." BI in a nutshell, one could say.